If it is so safe, why no scientific inquiry? #what_are_you_afraid_of? Here’s the thing: I know that if you have listened to most of the lobbying efforts surrounding Proposition 112, you are probably going to vote “No” on it this November. I find this to be incredibly sad, but probably not for the reason you think. Yes, I firmly believe that a “No” vote is bad for Colorado because it seems pretty clear to me that fracking isn’t great for our environment, but that is not what saddens and angers me. What bothers me is that the general hypocrisy and the intentional misinformation campaigns that the oil and gas industry engages in, actions that have become fundamental to their business model, always seem to work. The same tactics are used time and again from the international level all the way down to the local level. Here is just one example of this machine in action: regardless of how you are voting, you are not voting with any real scientific basis. The reason it is not possible for you to vote with actual scientific knowledge about this issue, is because the ability for you to have acquired that knowledge, for anyone to acquire that knowledge, doesn’t exist. Please check out this link to see a perfect example of what I am talking about. The link takes you to HB 18-1215, a $45-plus million fiscal note attached to a bill that would have required a comprehensive study of oil and gas waste disposal. The funding for this bill was postponed indefinitely and never passed. This means that the only option is to proceed with “business as usual” without any actual scientific information about oil and gas wastes. Why is that? What other major industry operates like that? Industry opposition to actual data collection is the real reason there is no science conclusively showing adverse effects of oil and gas operations (or lack there of). During the public process for this ultimately failed bill, the industry consistently towed the line that a comprehensive study of the health effects of O&G waste disposal would be cost prohibitive. I find it tragically ironic that the amount spent campaigning to oppose Prop 112 is approaching the cost of this fiscal note to comprehensively study the health of oil and gas wastes throughout the state. In my experience “commonsense” regulations, means NO regulations when it is coming from oil and gas. 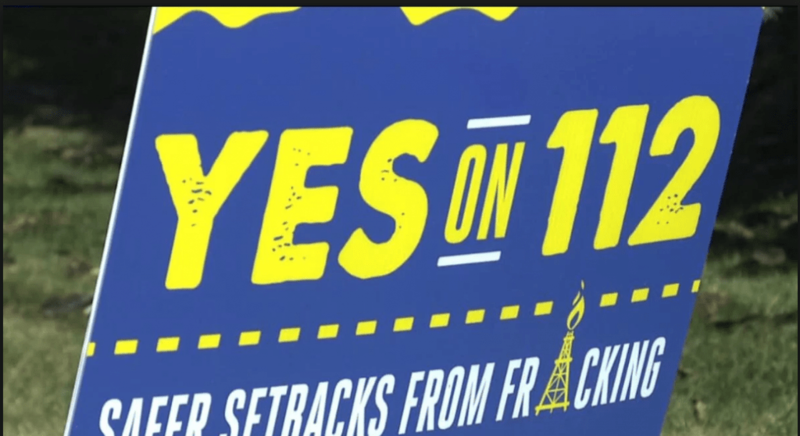 So like I said no one is voting on Prop 112 with any real scientific knowledge of the subject, which includes me, and yes, a safety study could totally vindicate the safety claims of the oil & gas industry, but it strikes me as wishful thinking and/or willful ignorance to believe that. I think it is common sense to be far more skeptical of the information coming from a $30 million fear campaign as opposed to an $800,000 grassroots effort… don’t you?